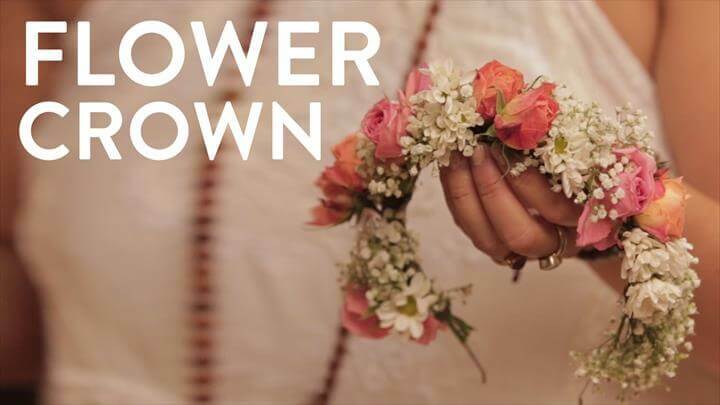 As we know that flower crowns are something that have become a part of costume in some special parties and occasions and people love wearing them. 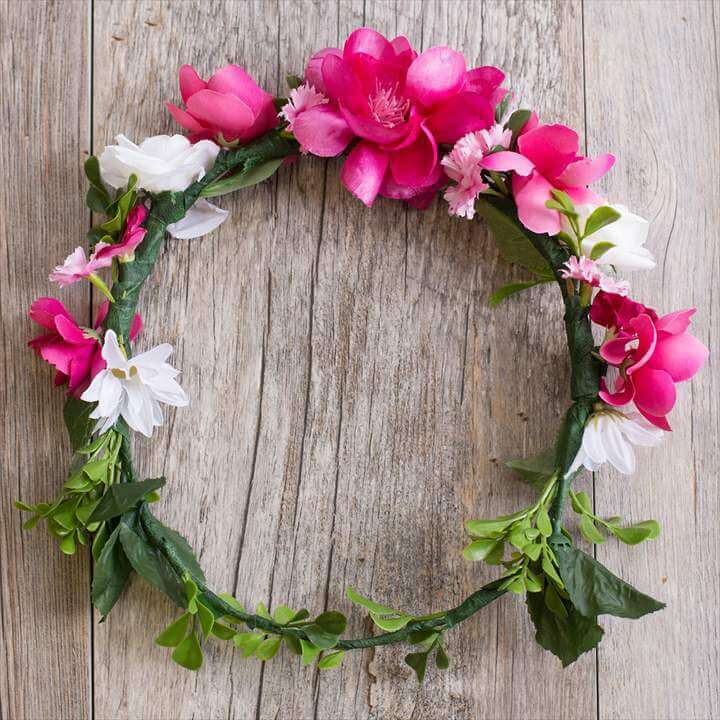 Be it a beach party, a fun get together, bridal showers, baby showers, bachelors party, birthdays or other fun events, flower crowns are a must. 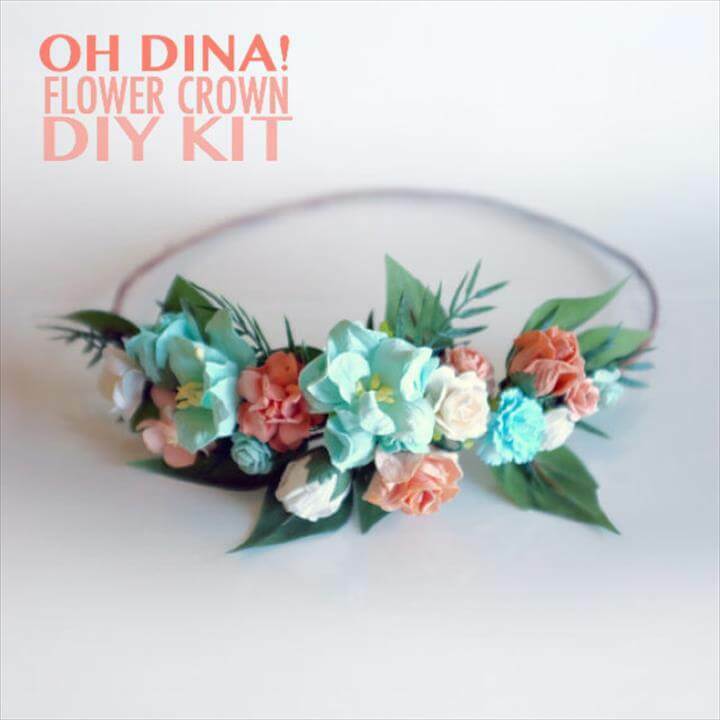 Here you will find many different ways to make such crowns in no time, easy steps, less budget and what not? 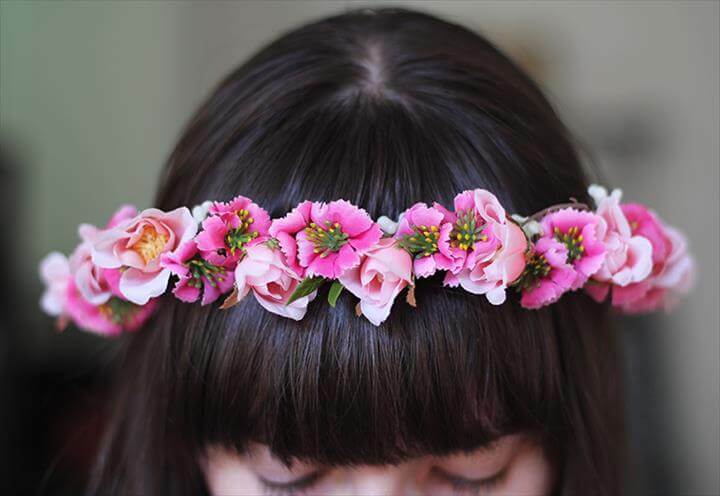 Grab a notebook and write these simple steps down on it in order to make unique and attractive flower hair crowns. 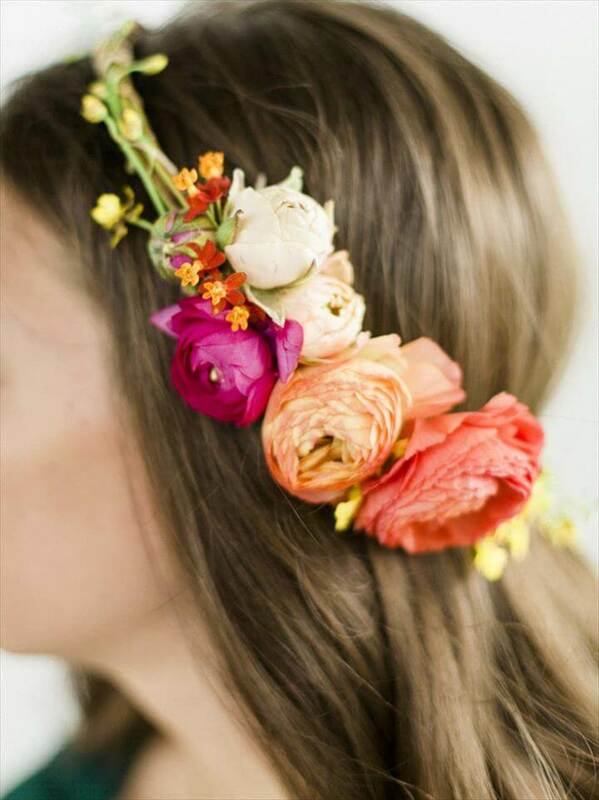 This first project that you see over here has three simple steps to make a beautiful flower crown possible. For this project you need to have some supplies such as scissors, wire as a crown base, satin ribbon, floral tape and wire cutters. Measuring the circumference is step one. Determining the number and arrangement of flowers is second step. 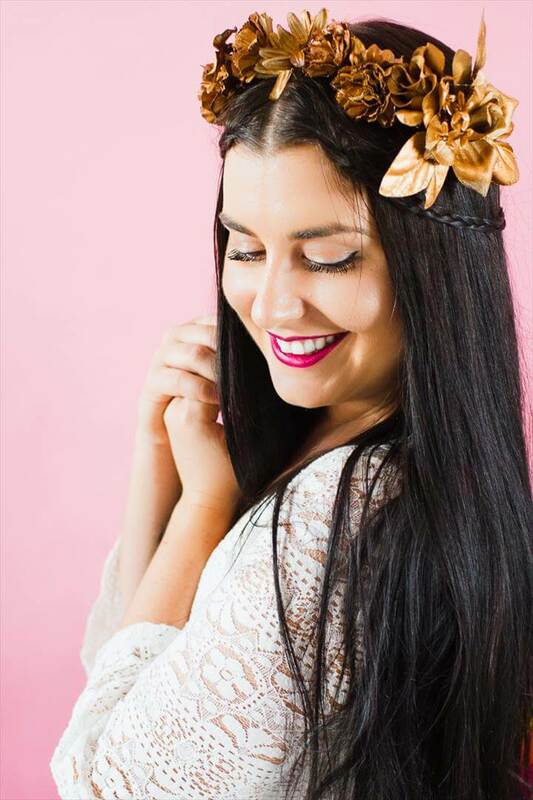 Cutting the ribbon roughly and then tying the bow tightly is the final step.You can select a theme for these crowns such as a vintage theme, a beachy theme or any other. Use these techniques even if you want to make a bunch of crowns for you and your friends who are coming over. 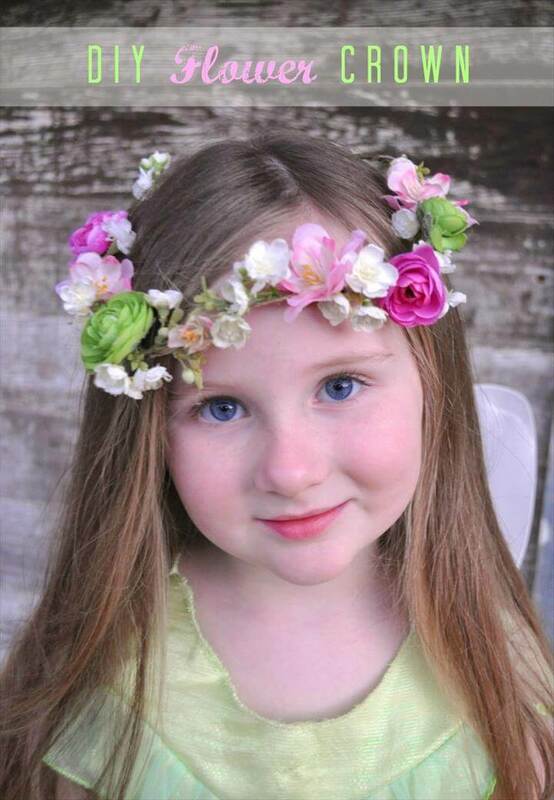 We also have an idea to make a dried flower crown easily in simple steps. All these ideas are so lovely that you will find it difficult to choose one out of them all. 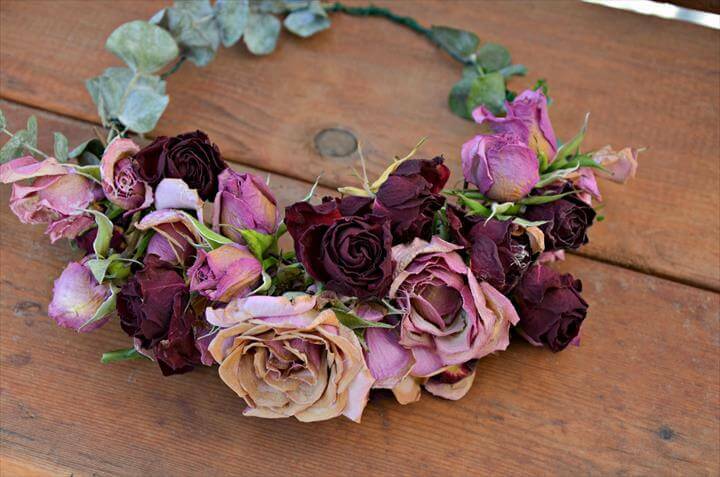 Make your parties even more special with these amazing floral crowns. 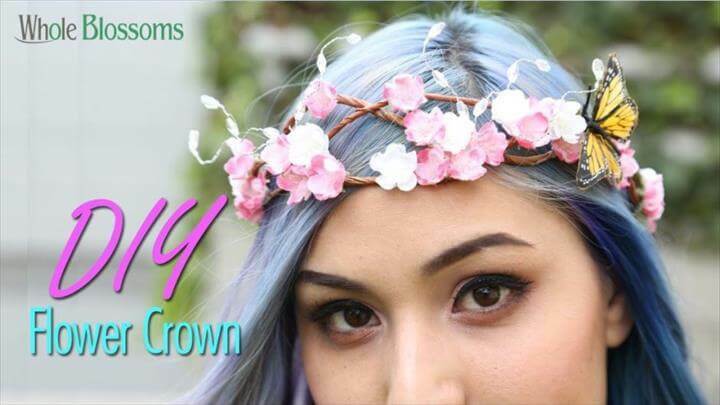 You just have to follow some simple steps to make these DIY Flower Hair Crown – Top 10 Cheap Ideas and you are all set to be proud of yourself.